This tabletop water fountains is a perfect relaxation. Its gentle brooky sound has a very soothing and calming effect on you. This fountain comes with a self watering live plant called creeping fig. 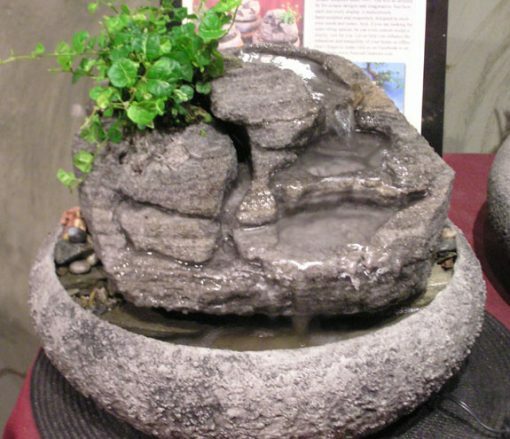 All of our indoor tabletop fountains are guaranteed not to splash! To view this fountain on YouTube click this link https://www.youtube.com/watch?v=ec1S1vWHXz0.